Many Vintage dresses are made with delicate fabrics that tear or age badly. This dress is made out of cotton and has no defects what so ever for its age! I love the neckline and the pockets on the hips. 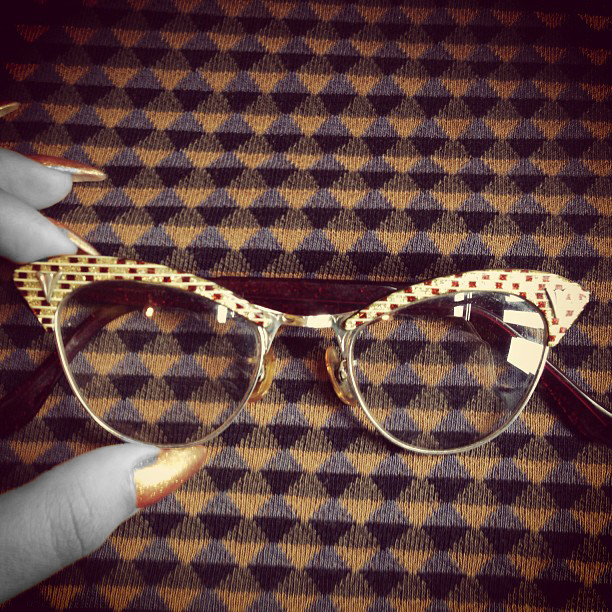 The dress matches my new vintage deco cat eye glasses perfectly. I won them on ebay a few weeks ago. It also works well with my vintage earrings that I also found at D&J Vintage! My ring is from Billy’s Antiques when it was open a few years ago. 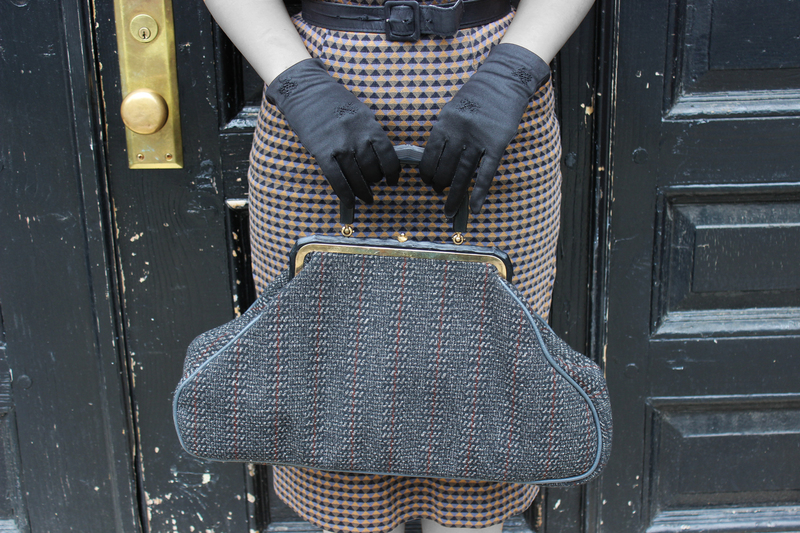 Details of my new baby<3 I wear my Bishette purse all the time! One more time doesn’t hurt 😉 I found these vintage shoes (1950s) on Etsy. They always have a few lucky deals on vintage springolators! Last but not least! My Cuban Heel stocking by Agent Provocateur. They are the only stockings that match my skin tone other than my favorite brand Secrets in Lace! Head on over to D&J Vintage for the best vintage threads! 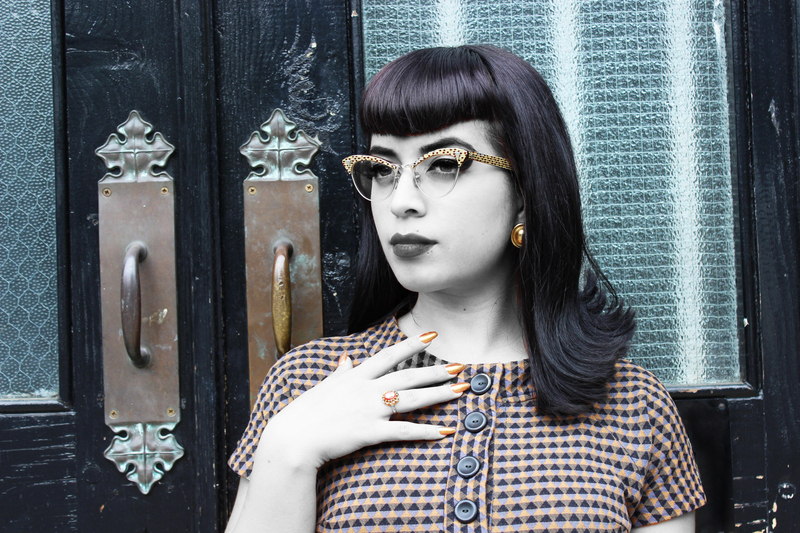 ← Bettie Page Clothing Memorial Day Sale! Loved the dress and you looked lovely. Oh good lawd, I sooo want those specs! You, my dear, are a vision of loveliness.